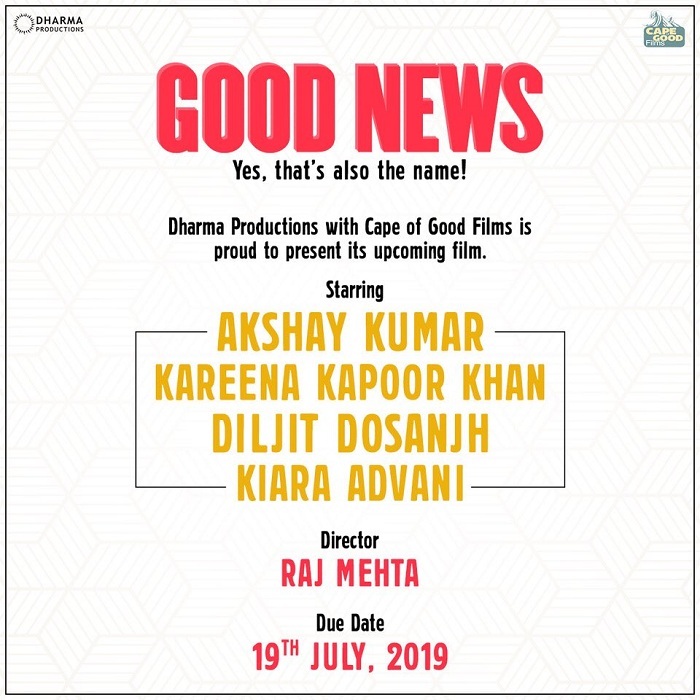 Akshay Kumar and Kareena Kapoor Khan back in Good News. Akshay Kumar and Karan Johar are collaborating again after 'Brothers'. This time it is 'Good News'. Yes, that is the name of the new film. Another good news is that Kareena Kapoor Khan will be seen again with Akshay in big screen. Diljit Dosanjh and Kiara Advani are also joining the fun. Good News will be directed by Raj Mehta. Film is slated for release on 19th July, 2019.